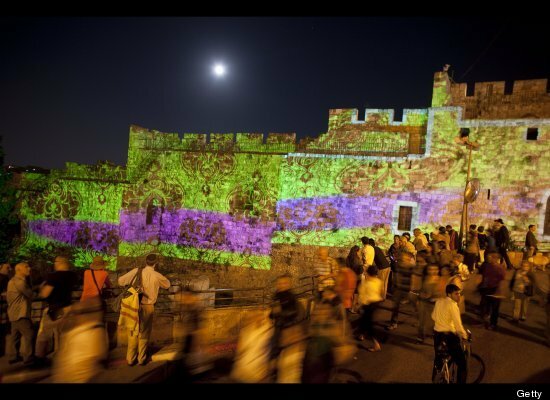 Jerusalem’s Festival of Lights, now in its third year, illuminates an area known more for religious friction and clashing political claims than for art or nightlife. Most nights, the Old City’s stone alleyways are dimly lit, peopled mainly by small numbers of tourists, Palestinian merchants and children, and ultra-Orthodox Jews headed to or from religious studies or prayers. But for seven nights, until June 22, a shining 10-foot-tall (3-meter-tall) puppet named Meir — Hebrew for “the illuminator” — entertains visitors with antics like trying to scale the wall of the moat at the Tower of David, used by conquerors across the millennia as a fortress, barracks and gun emplacement. How I love that place! Cardinal Wuerl was appointed by the Vatican last September to guide the incorporation of Anglican groups into the Catholic Church in the United States under “Anglicanorum coetibus,” an apostolic constitution issued by Pope Benedict XVI in November 2009. The full text and video of Cardinal Donald Wuerl’s report can be seen here. Taking God’s name in vain is bad, but having his name written on a vein is apparently good for a woman in Wichita, Kansas. Audreanna Phelps was at the mall one day when she noticed the word “God” on her leg, spelled out on a vein, according to The Frisky.com. Not sure what to think, Phelps asked for her cousin’s opinion, then sent a picture to her parents and, according to kwch.com, everyone agreed it looks like the word God. Her first thought was that God was telling her that her prayers have been heard and everything was going to be okay. More on this absurdity here. In the mall… Give me a break.